What is Mesotherapy Plus and how does it work? 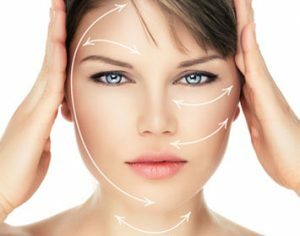 In the simplest terms, Mesotherapy Plus is an advanced rejuvenation system for facial skin, which uses the clinically proven meso needling technique in combination with cleansing, toning and nourishing products. A uniquely sophisticated and capable treatment, Mesotherapy Plus delivers a double dose of benefits to the skin with every treatment. Mesotherapy Plus uses a delivery system that ensures the nourishing products used are able to penetrate much deeper below the surface of the skin. The difference with Meso Plus being the length of the needles – double that of those used in standard treatments. This in turn allows their active ingredients to work on the layers of the skin that would otherwise remain untreated. In addition, mesotherapy encourages the skin to produce more collagen and elastin, directly contributing to the appearance and suppleness of the skin. One of the most popular new-generation facial skin treatments in London, Mesotherapy Plus is safe, effective and pain-free. The needles penetrate the skin by approximately 0.5 to 0.7 of a millimetre, which many clients find to be quite relaxing. After just a single treatment, noticeable improvements in the skin’s appearance can be seen in a matter of hours. For more information on Mesotherapy Plus or any of our advanced London skincare services, contact a member of the HSA Dermal Clinic team today. Our Mesotherapy Plus treatment uses a clinically-proven approach to provide the skin with the ultimate in nourishment. The difference with Mesotherapy Plus treatment being the length of the needles, which at around 0.5mm are longer than those of standard Meso treatments. The result of which is the deeper and more intensive delivery of key nutrients to the lower layers of the skin. Used in conjunction with our high-end RRS Mesotherapy Products, even a single Mesotherapy Plus treatment is sufficient to see noticeable results. Along with the deeper delivery of rich nutrients, the treatment itself encourages the skin to produce more collagen and elastin. The result of which is plumped-up, supple and healthy skin from within. Collagen depletion in the body begins as early as age 29 – Mesotherapy Plus treatment gives nature something of a helping hand. Mesotherapy Plus treatment is painless, effective and has the potential to produce long-lasting results. Call today for more information on any of our bespoke skincare services. Premium RRS Mesotherapy Products for bespoke treatments, provided by the experts at HSA Dermal Clinic. Mesotherapy is an advanced approach to cosmetic treatments, wherein safe and affordable injections replace traditional surgical procedures. The use of various plant extracts, hormones, enzymes and vitamins has a powerful effect on the skin, tightening and rejuvenating while combating problems like cellulite. Originally developed in 1952, Mesotherapy has evolved considerably over the decades in terms of both its effectiveness and accessibility. RRS Mesotherapy Products are widely regarded as the most advanced and capable in the field of non-surgical cosmetic treatment. Having worked with RRS Mesotherapy Products for many years, we’re able to consistently deliver superior results for every client at the right price. Here at HSA Dermal Clinic, we’re proud to offer an extensive range of RSS Mesotherapy treatments to suit all requirements and budgets. We work exclusively with the highest quality RSS products and cutting-edge technology, in order to perform at an entirely higher level than our closest competitors. Whatever your expectations, we’ll do what it takes to exceed them at our state-of-the-art bespoke treatment clinic in Richmond upon Thames.